Who wants to win needs to know his strengths. For your project, you’ll also need to know the weaknesses and threats so that you can prevent and react in good time. The SWOT analysis can help. 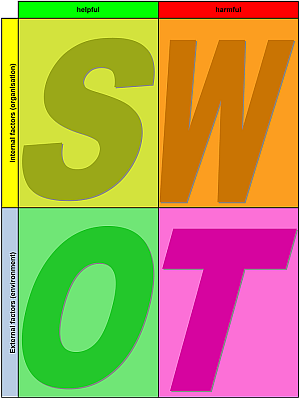 What is a SWOT analysis, how to do it correctly and what to do with it’s results? Read my blog post if you have not done it yet! For our German speaking fellows: Was ist eine SWOT-Analyse und wie machst du sie richtig? Lies dazu meinen Blog-Artikel, falls du es noch nicht getan hast! Here, you’ll find our Word template for your next SWOT analysis. Available in English, German and French.